The year 2002 marked the Golden Jubilee of Queen Elizabeth II, the longest reign of any monarch of the House of Windsor. Yet the future of the monarchy is by no means certain, not simply due to today's more egalitarian era, but also because of fundamental weaknesses with the royal house itself. While many of its failings are well known, hidden from public scrutiny are more disturbing activities for which the royals have never been held to account. Until now. In this controversial new book, bestselling authors Lynn Picknett, Clive Prince, Stephen Prior and Robert Brydon reveal the truth behind Britain's modern monarchy. War of the Windsors exposes Lord Mountbatten's ruthless scheming to make Britain's ruling family the House of Mountbatten: the real untold story of the abdication of Edward VIII; the existence of a shadowy cabal committed to protecting the royal image; and the truth behind notorious spy Anthony Blunt's connections to the Royal Family. 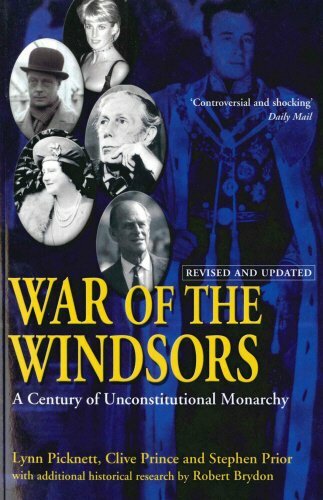 Sensationally revealed are the unconstitutional behaviour of the House of Windsor; the cover-up of major financial scandals connected with George VI and other kings; the routine use of euthanasia to dispatch those who inconveniently linger - and new evidence concerning the deaths of Dodi Fayed and Diana, Princess of Wales. Lynn Picknett is an experienced writer and journalist, and editor of the weekly publication The Royal Family. Clive Prince is a full-time writer, researcher and lecturer specialising in historical mysteries; together they have written Turin Shroud: In Whose Image?, The Templar Revelation and The Stargate Conspiracy. Stephen Prior was a historian who specialised in Intelligence. Robert Brydon is a military historian who has written many film treatments and scripts for historical documentaries. The team first worked together on the bestseller Double Standards, published in 2001. 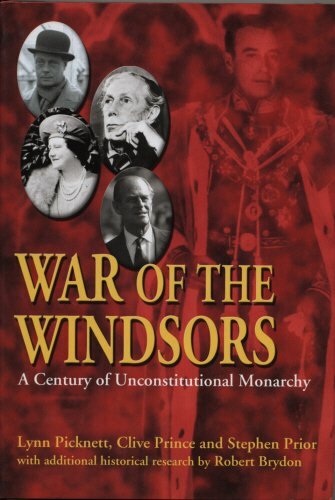 "[This expose of the House of Windsor] unearths a veritable cemetery of royal family skeletons and financial improprieties."